Many believe this is a very positive move and will encourage more donations. SAN FRANCISCO — A federal appeals court on Tuesday declined to reconsider a ruling that allows bone marrow donors to be paid for their donations like blood donors. In December, the 9th U.S. Circuit Court of Appeals shook up the organ transplant community when it overturned the criminality of paying bone marrow donors. Previously, donating bone marrow was classified the same as donating a kidney or any other organ, and payments were forbidden, punished by jail time. But the court said a technological breakthrough makes the process of donating bone marrow nearly identical to giving blood plasma and doesn’t amount to an organ transplant. On Tuesday, the 9th Circuit declined the Obama administration’s request to reconsider the ruling. Several organizations and activisits in the organ-donation community have urged the administration to fight the ruling. The administration now has 90 days to petition the U.S. Supreme Court. Department of Justice spokesman Charles Miller said the administration is reviewing its options. The nonprofit patient advocacy group Institute for Justice called the original ruling a “major national shift in bone marrow donation policy” and said payments will encourage more donations. SAN FRANCISCO: Court won’t reconsider bone marrow payments ruling | Health | Macon.com. Scientists are growing human hearts in laboratories with the help of stem cells, giving hope to millions of cardiac patients around the world. Researchers at the University of Minnesota in Minneapolis believe the lab-developed organs could start beating in a matter of weeks. It’s a huge step towards the first ‘grow-your-own’ heart, and could lead the way into producing other organs such as livers, lungs and kidneys. The researchers created the organs by removing muscle cells from donor organs. They injected stem cells which multiplied and grew around the structure, eventually forming healthy heart cells. “The hearts are growing, and we hope they will show signs of beating within the next weeks,” said Dr. Doris Taylor, an expert in regenerative medicine at U of M, according to the Daily Mail. “There are many hurdles to overcome to generate a fully functioning heart, but my prediction is that it may one day be possible to grow entire organs for transplant,” she added. The artificial organs have been created using immature ‘master cells’ which have the ability to turn into other types of tissue. 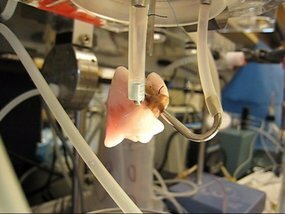 This latest experiment follows a series of successful experiments researchers have accomplished in the goal to create artificial organs for potential use in transplants. Taylor and colleagues have already created beating rat and pig hearts. 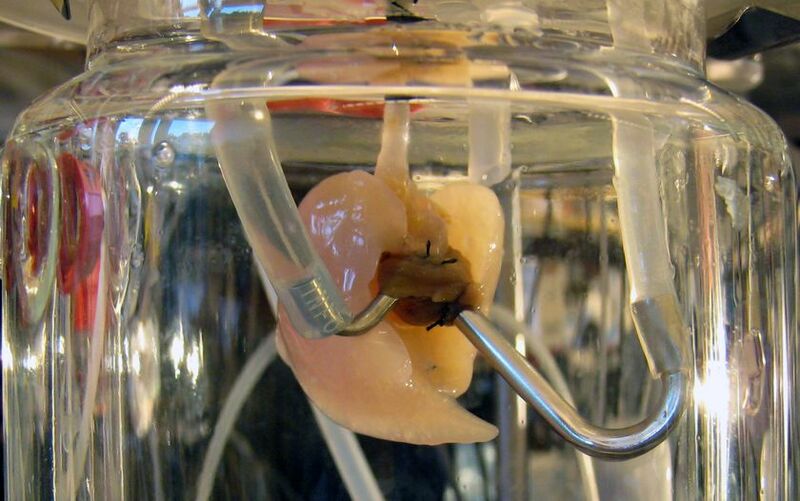 Although the organs were not strong enough to use in animals, the research proved to be a major step in the goal of producing tailor-made organs. The researchers reported their latest study results at the American College of Cardiology’s annual conference in New Orleans. The team used human hearts taken from dead bodies to create the lab-grown hearts. They stripped the cells from the dead hearts using a powerful detergent, leaving ‘ghost heart’ scaffolds made from collagen protein. The researchers injected the ghost hearts with millions of stem cells — extracted from patients — and supplied with nutrients. The stem cells recognized the collagen heart structure and began to turn it into heart muscle cells. Although the hearts have yet to begin beating, the team believes that when they do, they could be strong enough to pump blood. However, there are many obstacles obstructing scientists from creating working hearts. One of the biggest obstacles is getting enough oxygen to the heart through a complex network of blood vessels. Scientists will also need to ensure that the heart cells beat normally. “We are a long way off creating a heart for transplant, but we think we’ve opened a door to building any organ for human transplant,” Taylor told the Sunday Times. Stem Cells Help Grow Live Human Heart – Health News – redOrbit. Off-the-shelf body parts could soon be available for surgeons to use to repair injuries or patch-up worn out organs, researchers claim. Scientists are perfecting ways of creating bare ‘scaffold’ building blocks of body parts which can then be used as a frame for a patient’s own cells to grow around. The technique involves taking a piece of dead donor or animal body part and removing all the soft tissue so just the bare structure is left. 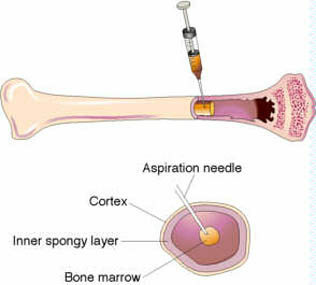 Stem cells from the patient can then be placed on the frame and will regrow into a new body part for them. The technique has already been successful in creating a new section of windpipe for patients who have suffered injury or disease and it is hoped it can be used for a wider set of organs. Experts said the scaffold for the most commonly used parts could be created in advance and stored ready for use when needed. Prof John Fisher from The University of Leeds spoke at a stem cell conference of the potential to create banks of scaffolds of all kinds of body tissue so surgeons can then finish them off with a covering of tissue grown from the patient before they are implanted. 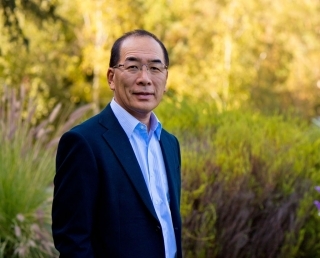 He told the UK National Stem Cell Network Annual Science Meeting in Nottingham of work he and his colleague Prof Eileen Ingham have been working on to create the scaffolds from dead donors or animals. So far, patches to cover a hole or weakening in a blood vessel, knee cartilage and tendons have been created. The advantage of the method is that the patient will not reject the transplanted tissue as foreign because the scaffold is stripped of all material that can trigger rejection and the soft tissue is grown from their own stem cells. It means patients can avoid powerful immunosurpressant drugs which shorten life expectancy and can increase the risk of cancer. Scaffolds derived from human donor tissue are being developed by the NHS Blood & Transplant Tissue Services, while scaffolds developed from animal tissues are being developed and commercialised by Tissue Regenix Group PLC. Prof Fisher said: “If you take a natural tissue and strip off all of the donor’s cells you’re left with a biological scaffold made mostly of a protein called collagen, which is compatible with the patient receiving the scaffold. The transplants are also expected to last longer than those in use currently because the technique overcomes the problem of rejection. Prof Fisher said chemically treated and strengthened prosthetic heart valves from pigs, for example, have been in used in human transplants for more than a decade, but the chemical process which stops them from being rejected by the patient’s immune system also leaves them lifeless so they degrade over time and need to be replaced. 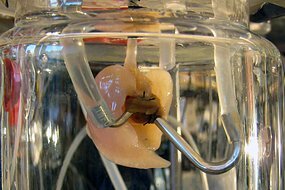 Other more complex structures like a voicebox could be replaced in the same way but the demand for such specialist transplants is more limited and so it is unlikely bio-tech companies would make scaffolds for these in advance and store them. via Banks of off-the-shelf body parts could be created for transplants: researchers – Telegraph.